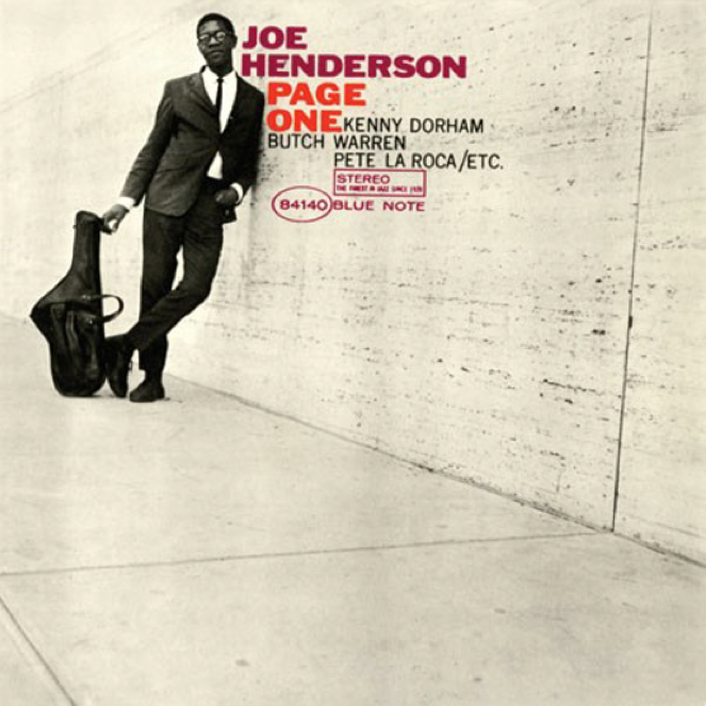 Fifty years ago today, a 26-year-old Joe Henderson recorded his debut album, Page One, for Blue Note Records at Rudy Van Gelder’s studio in New Jersey, featuring the stellar lineup of Kenny Dorham (trumpet), McCoy Tyner (piano), Butch Warren (bass), Pete La Roca (drums). 2013 being fifty years after 1963, there are many great jazz anniversaries to celebrate… as there will be all decade long. In fact, I’ll be paying extensive tribute to another amazing recording, Art Blakey’s Ugetsu, in a series of concerts later this month. But Page One is one of my all time favorites, and I’d like to give it a special nod. Every album has its quirky stories. I don’t know much about the recording of Page One, but you may notice that the album cover lists four of the five musicians. Only McCoy Tyner is omitted, and in his place is the word “ETC.” That’s because McCoy had just signed with Impulse Records, and his appearance on Blue Note was arguably in violation of his Impulse contract. And if you’re wondering where the cover photo of Joe was taken… Francis Wolff took that in front of the then-brand-new Lincoln Center in New York.